Adam Yellowbird DeArmon has worked for the last 20 years with Indigenous Elders around the world to bridge the past with the future through public events, conferences, and personal exchange. His goal has, and continues to be, the synthesizing of the wisdom from our ancestors with modern technology to create a better world. In 2007, Adam was requested by the Continental Council of Indigenous Elders and Spiritual Guides of the Americas to continue their work in South America by bringing it to North America. With the blessings of these Elders, Adam founded and produced the Eagle Quetzal Condor Confederation Gatherings, in efforts to continue their goals through a variety of educational outreach opportunities for all to attend. 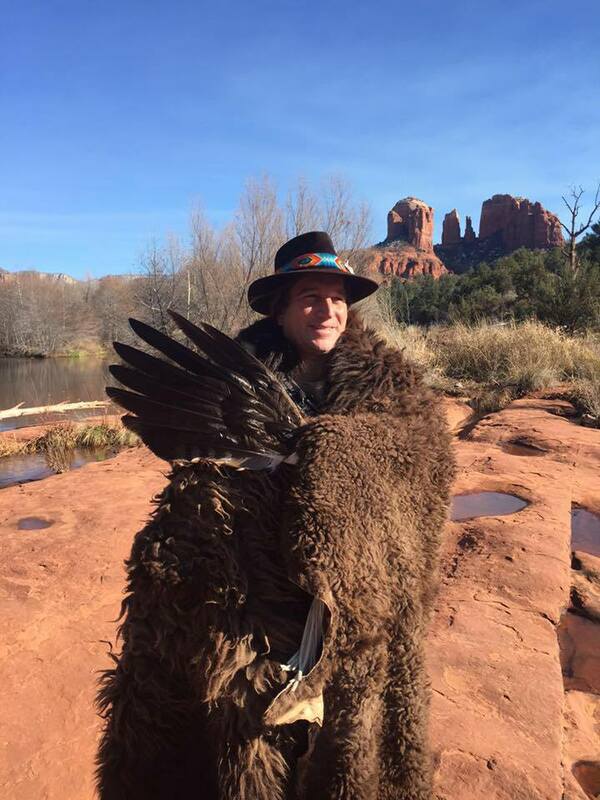 Over his lifetime, Adam (Yellow Bird) DeArmon, a born medicine man, received training and spiritual initiations from Indigenous Elders as he worked, learned, and lived among numerous tribal communities around the world. These cultures include but are not limited to: Lakota, Hopi, Havasupai, Cherokee, Kogi, Arhuaco, Mayan, Shipibo, Q’uero, Aymara, Aborigine, Germanic, and Hebrew. He launched a career as an International Cultural Liaison seventeen years ago when he envisioned and implemented the Earth Dance8 International Multicultural Gatherings that have continued and reached worldwide communities. Shortly afterwards, while continuing his practice as a spiritual guide, Adam founded the Institute of Cultural Awareness Inc. (ICA) –– a non-profit organization that sponsored national and international gatherings of indigenous leaders from around the world including North, Central, and South America. Adam’s enthusiasm for bridging and preserving indigenous cultures gained him acknowledgement as a Goodwill Ambassador of the Indigenous Peoples Grand Council of Peace for Goodwill Treaty Org as well as, as a Cultural Liaison for The Foundation of Global Humanity for 3 years, and Cultural Ambassador for International Center for Cultural Studies (ICCS). In addition, Adam is presently the co-founder of The International Center of Spiritual and Ancestral Wisdom, LLC and has the honored status as a Foreign Ambassador and Chief Minister for ONAC OF ICSAW Native American Church.